Call toll-free 1-800-847-4755 or simply fill out the form below! Free Kitchen Measuring and Design service today. 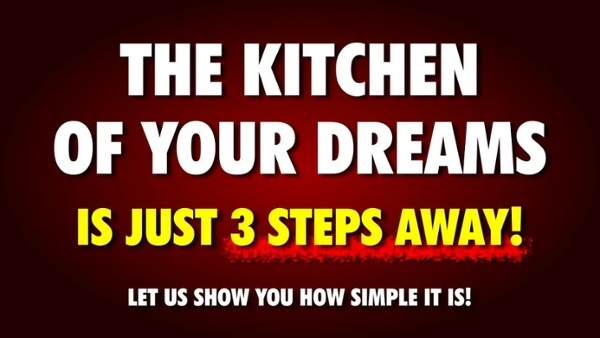 The kitchen of your dreams is just 3 steps away. Let us show you how simple it is! Watch Below to See How This Free Service Works!